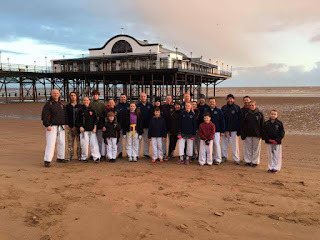 We traveled to Cleethorpes to Join Kazen No-Michi for "Cold training" on the beach. Kangeiko training normally starts at 6am but they kindly put it back an hour, to give us a little extra time to get there. 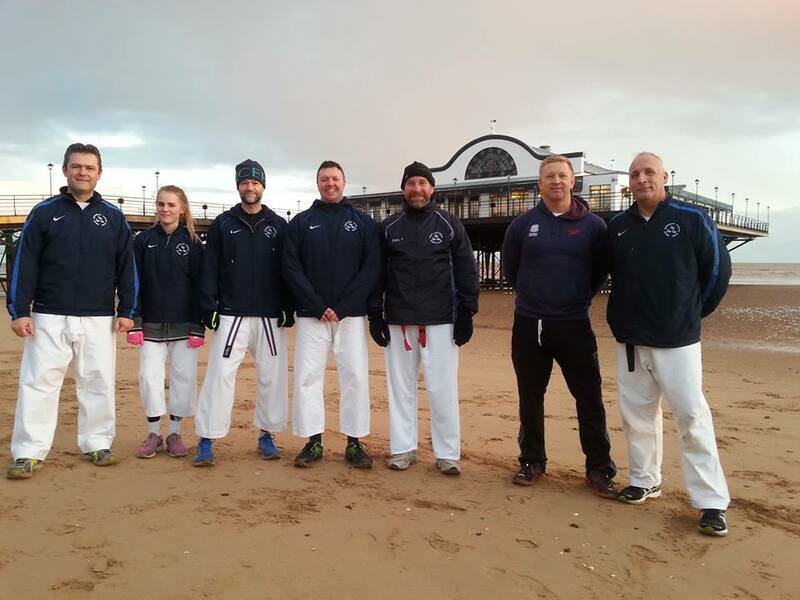 A traditional run was followed by some basics and Sochin kata and application before a big breakfast at Browns before the long drive home. We traveled to Nottingham to Nottingham for the first Black and Brown Belt session of the year. 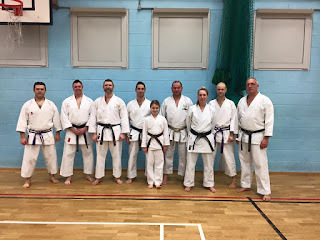 It was great to be taking Simon, Assen and Leah with us, their first steps towards Shodan. 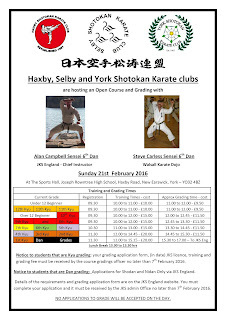 Instruction was by JKS England Chief Instructor Alan Campbell 6th Dan. 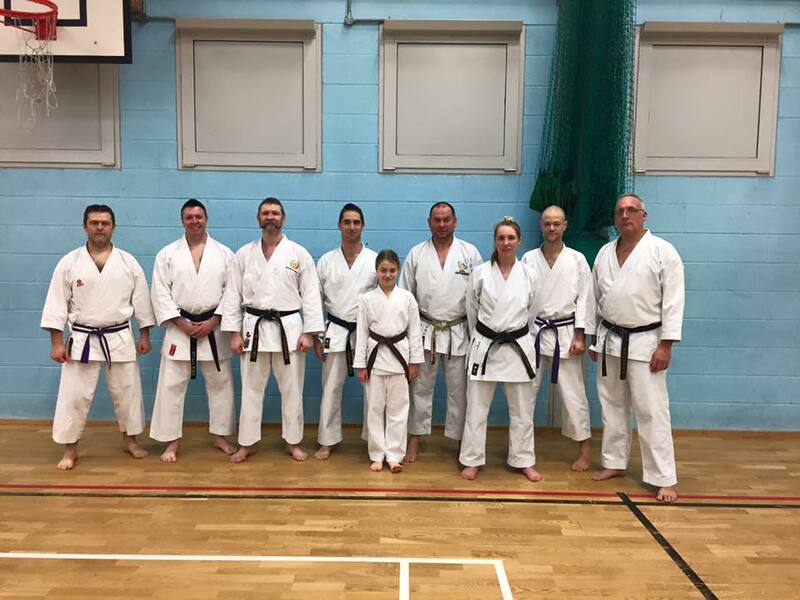 Leah joined Sensei Bex for the Open squad session that followed under the instruction of Sensei Matt Price - JKS England Squad Coach. 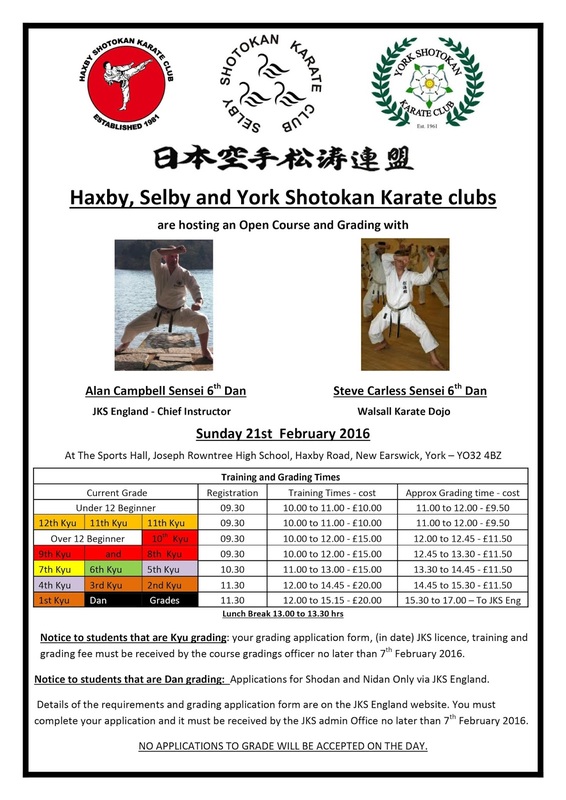 Hopefully the SSKC contingent will grow during 2016.